Guild Wars 2> News>Expand Your Shared Inventory Slots Today! 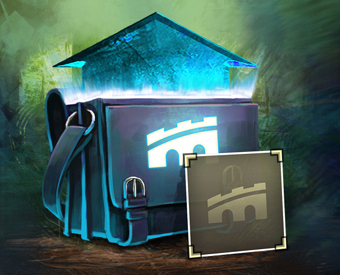 Expand Your Shared Inventory Slots Today! Hey, back to work! No, not you—I was talking to one of my employees. You give somebody a few days off for the holiday, and they come back all out of it, every time. What, you didn’t think I’d give them Wintersday off? I’m not a total monster, you know. If you’re struggling to juggle the presents you got this year, now you can purchase up to three more shared inventory slots for the ultimate convenience! This bundle’s so good, you’re practically robbing me. It comes with a Total Makeover Kit, 5 Black Lion Chest Keys, a Bank Tab Expansion, a transmutation charge, and a Revive Orb. I’m also bringing back the Arctic Explorer Outfit for a limited time.